Stop Paying For Data Security And Computer Recycling Services! Better service doesn’t have to cost! Schedule a free business or residential pickup for recycling electronics or recycling computers, or bring your material to our location. Located in Jacksonville, contact us to find out if we can service your area. Data security is what makes us different. We offer secure hard drive shredding at your home or business. Feel free to drop your material off at our Jacksonville, FL warehouse and watch the destruction process as well. Need certified data destruction? We can provide Certificates of Destruction on and offsite while we shred your hard drives, at no charge. We can also provide a serialized asset inventory with a certificate of recycling. Real, responsible electronics recycling. Whether it’s printers, flatscreen monitors, stereo equipment or computers, we can recycle it at no charge. We follow a NO LANDFILL policy. Our Mission: To change the electronics recycling industry by offering top-notch service, secure data destruction, and responsible recycling at no charge. From the sea to the shore, we have protected our country: now we are serving our community by protecting your data and the environment. We bring a different perspective to the electronics recycling industry. Sensible Recycling is committed to giving back by employing Vets and helping the community stay green. We look forward to bringing our experiences and knowledge to help protect your data and the environment. FREE Data Security and Recycling Services! Stop paying for data destruction, computer recycling, and electronics recycling services. That’s right, ALL of our services are FREE, and free service doesn’t mean bad or mediocre service. Our goal is to exceed your expectations and change the way you think about what a free service is. We come to you, or you can bring your material to us. We strive to make recycling computers and electronics and data security easy. We are sustainable through the recycling process and don’t need to pass unnecessary costs onto our customers. At Sensible Recycling, we believe in data security. Strictly following the NAID data destruction standards, we physically destroy 100% of the hard drives we receive. This philosophy uniquely sets us apart from our competition. We never wipe your drives and resell them like the other companies. Using a computer refurbishing company puts your data at risk since they need the hard drives to resell computers. We don’t refurbish computers at Sensible Recycling, and we never put your data at risk. Sensible Recycling is the 1st Better Business Bureau Accredited electronics recycling company in the Jacksonville, North Florida area. This means we are holding ourselves to a higher standard than our competitors. Being a Better Business Bureau Accredited Business means that we strive to be a business you can trust, and we do business the honest and fair way. We want your feedback, bad or good. If there is something we can do better, let us know. Whatever your level of compliance for electronics data destruction, we have you covered. Our secure chain of custody, certificates of destruction and hard drive shredding is designed to prevent incidental exposure and to avoid prohibited uses and disclosures. We can provide your business with on or off-site hard drive shredding, and the paperwork that keeps your business in compliance. Data destruction services are performed at no charge. Read on to find out more. Secure electronics recycling and computer recycling. Contact us to find out how we can help. Schedule a Free Pickup Now! NIST 800-88/DoD 5220.22 Compliant, HIPAA Compliant Hard Drive Shredding and Destruction Services. No Charge On Site Shredding Services. Let us handle your asset retirement. Find out what services we can offer you when your IT/computer equipment needs to be retired and replaced. Our customers range from Hospitals, Military and Government Agencies, Large and Small Businesses to Residential. We can handle your needs. Recycling E-waste isn’t all we do. This is where data security and electronics recycling go hand-in-hand. E-Waste (electronic waste) is the fastest growing waste stream in the country. Old electronics account for 2% of the garbage in landfills but represents 70% of the toxins. Electronics and computers, for the most part, are consumable items and their lifespan are short. So many businesses and individuals we meet don’t know what to do with their old electronics or old computers. 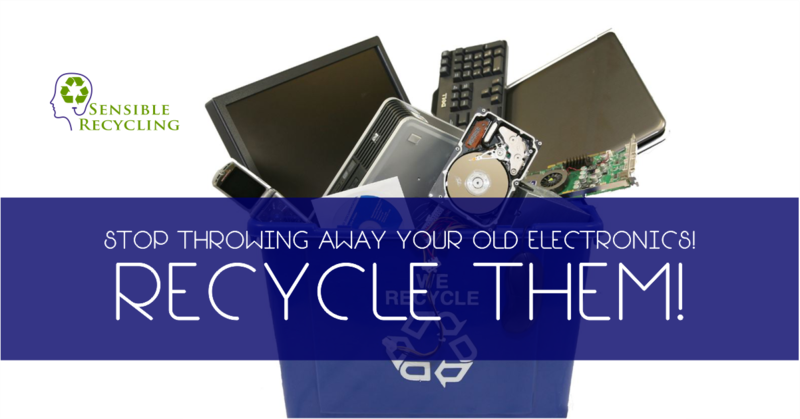 Electronics shouldn’t be treated like garbage and thrown away. Proper disposal of electronics and computers should include recycling. Sensible Recycling is stepping up to provide your community with a responsible, no-cost service to dispose of, and recycle computers and electronics. Old electronics do not belong on the curb with your trash where they will find their way into a landfill. What sets our recycling business apart from our competitors is simple: Data Security for FREE! We physically destroy all electronics data-bearing devices that we receive. Why do we do this? Data destruction is what our customers want, and wiping drives leaves too much liability on the table. All it takes is one mistake in the wiping process to put someone’s hard drive at risk of being compromised. Wiping is not a tangible means of destruction. If a drive slips through, no one would know if it was wiped or not without checking it. Our process is superior because everything gets shredded. If you are a government entity, School, Fortune 500 Company, or an individual, your data will be shredded. No games, no hidden fees, and no catch. Ree recycling and free data security, This is the Sensible way to recycle computers and electronics. Sensible Recycling is an electronics recycling and computer recycling company located in Northeast Florida. We exist to help keep our community clean by properly recycling electronics, computers, and old IT equipment in a manner that adheres to or exceeds Governmental laws and regulations that pertain to the responsible recycling of e-waste. If you are looking to dispose of old electronics, then give Sensible Recycling a call. Sensible Recycling is a Jacksonville, FL based business. Our goal is to provide the best customer service, and when you call Sensible Recycling you will get a real person on the phone to help you. As we grow and expand, our goal is to continue to feel like a local business that supports the surrounding community. Local means that we can focus on service and be involved at a grassroots level. There is no need to ship your old computers or electronics to an out of state location because we will come to you. Even if you are a resident with one computer, Sensible Recycling will treat you the same way we would treat business with 1,000 computers. We offer no charge recycling services and will come to your business or residence at no charge. 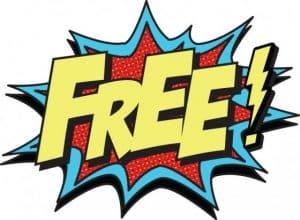 In fact, all of our services are FREE! How can we do this you ask? Sensible Recycling is profitable through the responsible recycling of your old computers and electronics. At our recycling center in Jacksonville, FL we break down all of the material we receive to the core components, process and sort it, and sell the material to a downstream where it will ultimately be refined in order to make new electronics. Everything is recycled from the circuit boards, plastic, steel, and wire. Nothing goes to waste, and nothing goes to the landfill. Find out more information about our Recycling Services. Make the Sensible choice when it comes to recycling your old computers and electronics!